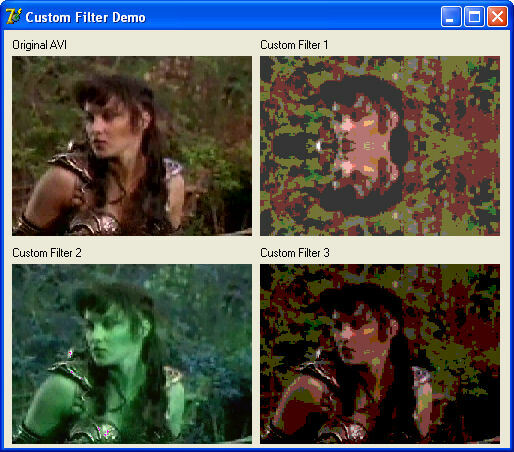 BasicVideo is a set of Visual C++ components for fast video capture and playback. They allow fast video capture, display and playback with zero lines of program code. The library supports the old fashion Win32 API( Video For Windows ( VFW ), VCM, WaveAPI, ACM), the newer DirectShow, and even allows if needed any mixture of them. The developer can choose to go with any of them, to use all, or can switch from the one to the other at any moment. The components hide the complexity of all of the approaches, and make them look almost identical from the users prospective. Includes: Video Players and Loggers ( Win32 and DicerctX/DirectShow ) Video/Audio Capture and Video/Audio Output ( Win32 and DicerctX/DirectShow ) and Custom Filter components. Free for non-commercial use.